Welcome to Hoosier Christian Village, another quality Christian Homes' community. Located in a rural community setting, the campus houses 13 garden homes and a 97-bed skilled nursing and rehabilitation center. LIFE was started in 1983. It is a cooperative ministry supported by over 40 churches throughout Lawrence County. LIFE provides emergency food assistance every 30 days and emergency rent or mortgage/utility assistance. So, Act Beyond exists to create church planting movements. A church planting movement is a fast growing network of churches that spreads the Gospel within a region and people group who have never heard the good news of Christ. Pinehaven is a residential, year-round program aimed at providing a stable, controlled, secure environment in which young people can reach the potential that God has placed within them. To meet the needs of our young people even better, Pinehaven Christian School was started in 1984. What started in a basement with 12 students is now a dedicated facility capable of handling 100. The Hope Resource Center is a non-proft Pregnancy Care Center and Medical Clinic! We seek to help men and women in Lawrence County and surrounding areas that are facing some of life's toughest situations! We provide many servcies that range from pregnancy tests and ultrasounds to life coaching and counseling. All services provided at the Hope Resource Center are 100% FREE and confidential! We want to help you make the most informed decision about your pregnancy as possible. At the Hope Resource Center, we believe that everyone is entitled to know the facts about their pregnancy and their options regardless of their financial situation. We have several amazing staff members and volunteers that work hard every day to ensure that our clients receive the quality care they deserve! Come by the Hope Resource Center and check us out! Rio Bravo Christian Ministries exists for the purpose of sharing the Good News of Jesus Christ along the north border of Mexico in the state of Coahuila. We preach and teach the gospel. We nurture and disciple people into Christ. The original missionaries of Rio Bravo Christian Ministries, Bradley and Linda Berg, were commissioned by the elders of Central Christian Church in Rockford, Illinois in the spring of 1997. They spent three years with Mario and Betty Calderon or MBC MInistries also along the Mexican border and in 2001 began serving as Rio Bravo Christian Ministries. For decades, you, in partnership with Southern Mexico Missions, have empowered evangelists and church planters to spread the life-changing message of the gospel throughout Southern Mexico. As a result, hundreds of house churches have started and dozens of local churches have flourished. Your help is changing people's lives now and forever! Continue to help us to be a force for evangelism and spiritual growth throughout southern Mexico. 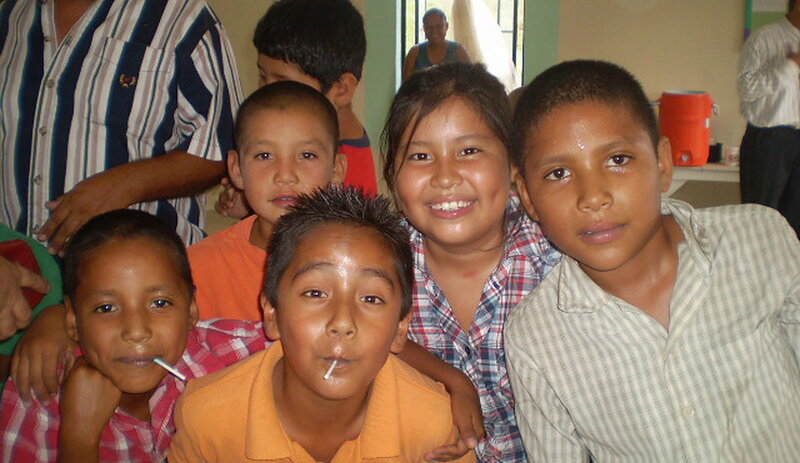 Support Southern Mexico Missions. As wonderful as the inventions and conveniences of modern society are - our children need much more to grow to be well-rounded, productive citizens of earth and heaven. They need more than "virtual reality", they need God’s reality. Wonder Valley Christian Camp is a fabulous testimony of God’s reality. Located in the rolling hills of southern Indiana, WVCC is a 62 acre testament that the creation is indeed "the work of His hands." And, seeing the beautiful waterfall, the rippling creek, the deep valleys and lushly forested ridges - who can deny that this place was indeed sculpted by the Master artist? WVCC started in 1946 as the dream of Art Morris, minister at Walnut Grove Christian Church and Forrest Wilkin, minister at Orleans Christian Church, to reach boys and girls with the Gospel of Jesus Christ. 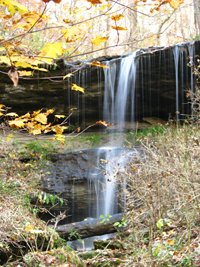 In those early days campers slept on straw mattresses and showered under the waterfalls! Meals were cooked in an old smokehouse and a big year was about 70 campers. For more than half a century the dream of WVCC has grown and been fulfilled as many thousands of campers have come to hear the Word of God proclaimed and to be challenged to follow Jesus Christ. Each year dozens of young men and women make decisions to accept Christ, live more closely to Him or go into full-time Christian ministry or missions. Many who attended WVCC as youth now send their children, or even grandchildren to the place that meant so much to them. For these families, the camp has become a treasured part of their lives and a lasting part of their spiritual heritage. Over the years, thanks to the partnership of area churches and supportive individuals, the facilities have changed and improved. But the commitment to the Gospel and to lovingly share it with youth remains as rock-solid as the ridge upon which the camp has been built. While WVCCs past has been wonderful, we must not he complacent about the present and the future. We are entrusted with the care and nurture of not only the land, but also the mission and ministry as well. The legacy of WVCC is our stewardship. We must assure that the youth and families of today and tomorrow can gather to learn of God and touch what God has made. We must he diligent to preserve the natural beauty, the commitment to truth and to building God’s kingdom. We must strive, therefore, to make the best of Wonder Valley Christian Camp -- even better! World Mission Builders was founded by Ed Thomas, Baxter Springs, KS in 1975 and has built over 230 churches or para church buildings both foreign and domestically since 1975 in 88 countries. World Mission Builders’ mission statement is to put Permanence in Missions. Ed Thomas is in charge of overseas projects such as those in Haiti, Philippines, Honduras, Africa, Mexico and VietNam. In 1999 R. Joe and N. Fae Wilson joined the ministry of World Mission Builders as the domestic coordinator. Joe is responsible for planning, recruiting volunteers, fund raising and the building of the domestic projects. 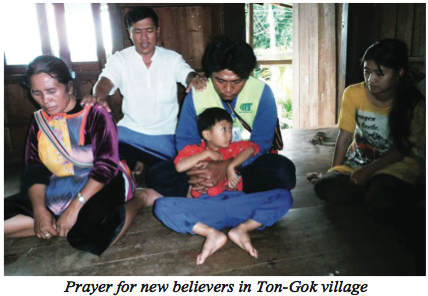 Reaching the Unreached... Our desire is to see every person in the world reached with the gospel of Christ. We’re working toward that goal through evangelism, church planting, and disciple making movements. Everything we do is guided by our 7 Core Values and 7 Great Passions. Visit their website to learn more about the 7 values and passions. We are called to be the hands and feet of Christ, caring for children in Jesus’ Name. Children who have suffered from fatherlessness, neglect, and poverty need a nurturing community setting. The New Song Mission children’s home campus is an incredibly unique refuge for kids where they can thrive and grow up to become well-adjusted, productive adults. 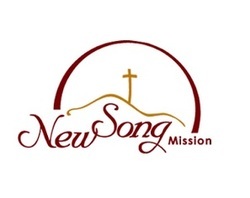 Modeled after highly successful children’s campuses in Oklahoma, Tennessee, Virginia, Georgia, and Alabama, New Song Mission represents a proven alternative and fantastic news for kids who need safe, loving homes and a private education. 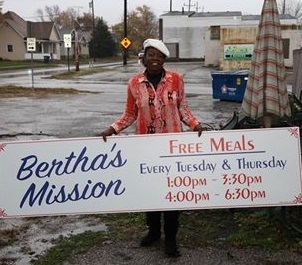 We are all servants for God, we take great pride in what we do and do not think of ourselves as better as or less than the next person, we are all volunteers trying to reach out to others and bring them into what we call the family of Bertha's Mission. We do not ask about your income, status, title, reputations or physical stability, political or religious affiliation, it doesn't matter. We feel that everybody is uniquely and gifted for one thing or in one way or another, we are like pieces to a puzzle and do our best to fit together to accomplish a common goal of addressing the hunger needs of our brothers and sisters. We are not here to give handouts, but a hand-up because we believe that unfortunate, unforeseen, catastrophic events can change a person's life from one moment to the next.